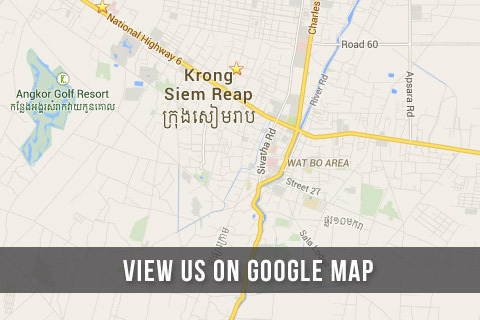 * Contact Us "We love to hear from you"
Sangkat Svay Dangkum, Siem Reap Town, Kingdom of Cambodia. Tel: +855 63 967 666 | Fax: +855 63 967 660. Mobile: +855 12915515 / +855 12 215 007. If you have any comments, suggestions, complains or recommendation, please feel free to contact us.